I bought the cable on Aliexpress, where I buy most of my smaller electronics and gadgets. You can find the cable by clicking here. The cable costs about 5 dollars which is pretty cheap for the effect it delivers. It’s available in a few different colors with a few different light color options. 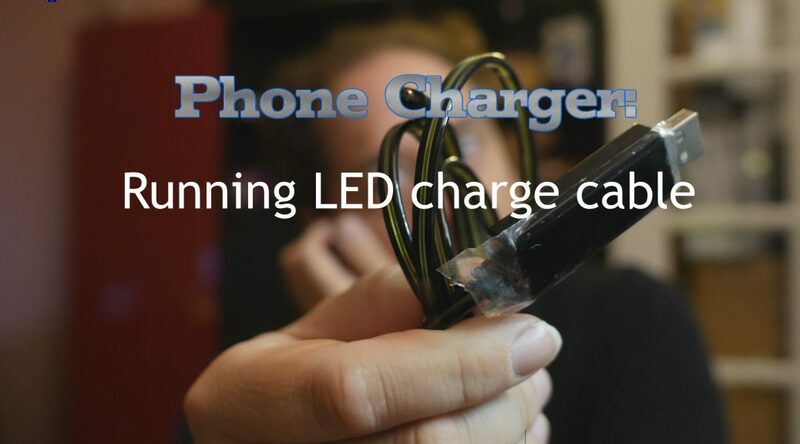 It can be a nice show piece for in the office or anywhere else you need a charging cable. So for that purpose, it’s a great little gadget! As always I did my standard tests on these cables testing them with a varying range of voltage and amperage to see how well they hold up. At 5v this cable starts off very average. The voltage drop is pretty bad but if you take into account that it’s actually drawing some wattage to run the lights in the cable, I guess you could call it fair. Past the 2.0A point the voltage drops way too low though. At 9v we see the same voltage drop. It actually ends up at 7.6v which is quite the drop from 9.0v! Not really recommendable. The lighting also completely fried at this point and some burnt electronics smells reached my nose. The lights where never to be seen again and the adapter in the base plug got REALLY hot. DO NOT use Quick Charge with this cable! At 12v the picture is no different. Quite the voltage drop, even with the fried lighting electronics. The charging cable still functioned though. Just not that great. Get a few to show off this nicely lit charging cable. But as far as charging cables go it’s not very special. Voltage drop is actually on the bad side and if you’re looking for a good charging cable, this isn’t it! Look at my previous article what to get. Click here to get a few for 5$ with free shipping! Previous PostClean your computer or it might EXPLODE!Next PostA 99 cent computer mouse? !